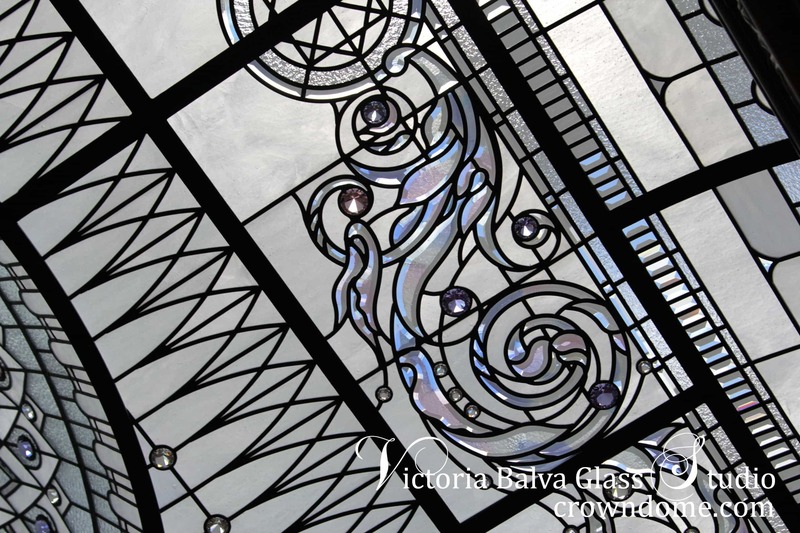 It took one month, many completed and installed glass ceilings and a whole life to develop a project design for our Client in Connecticut. 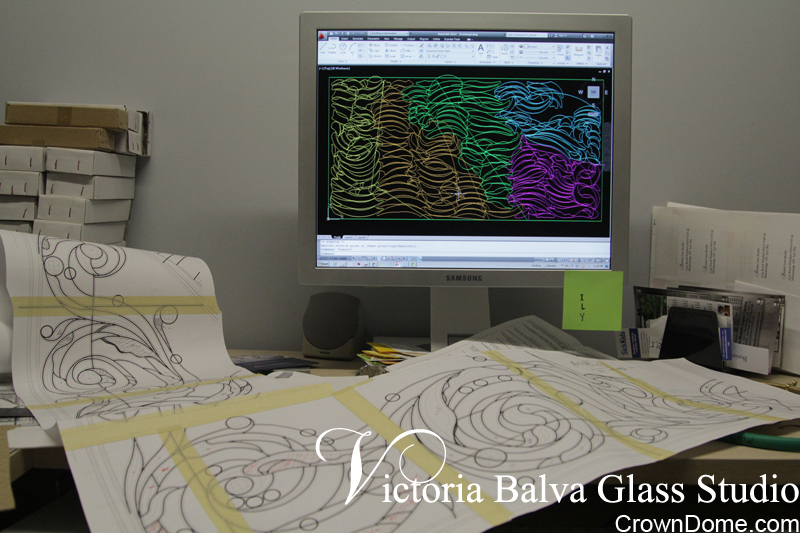 That included research, engineering, planning, hand drawing in a scale 1 to 1, digital drawing and 3D modeling in AutoCAD. 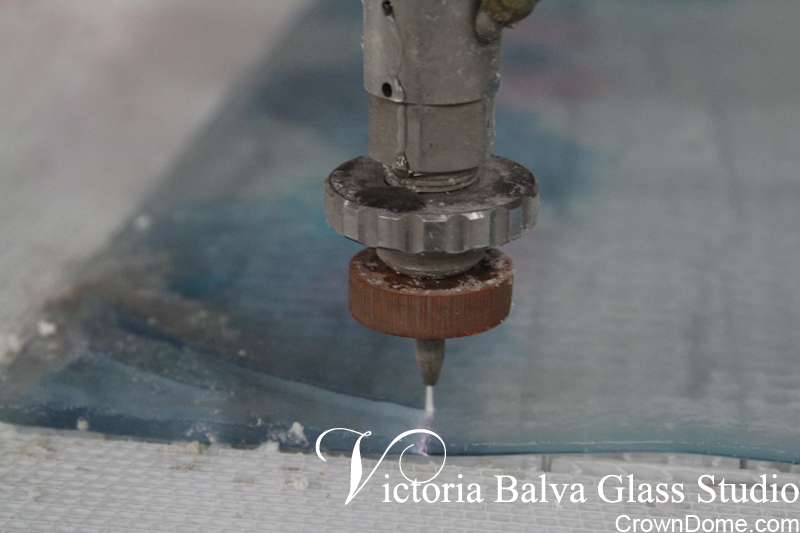 It took another month to prepare glass for custom bevelling and to program our CNC machine to cut that glass. 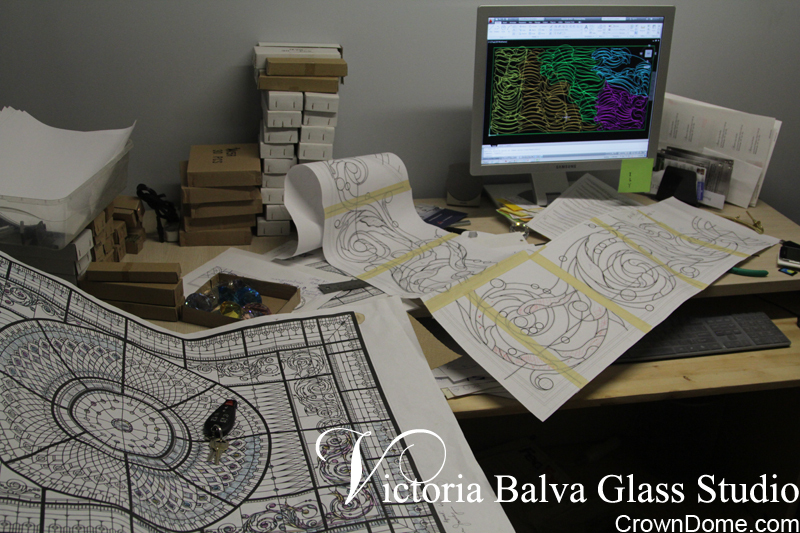 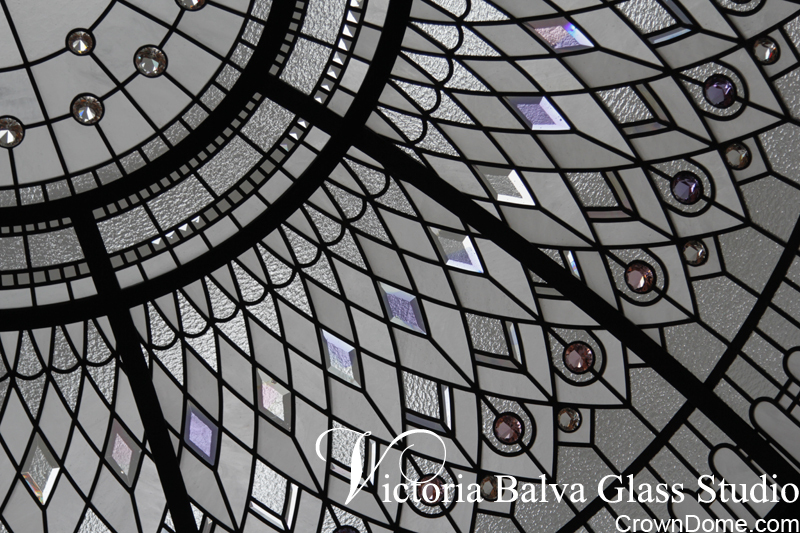 I estimate that it is more than 7 000 pieces of glass, 20 000 pieces of lead - all designed, cut, assembled and soldered into one large leaded glass canvas. 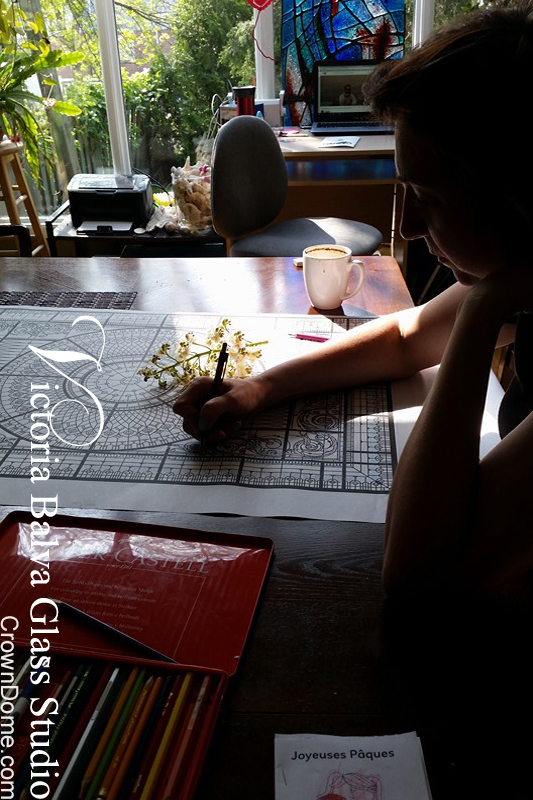 Hand drawing in a scale 1 to 1 helps to feel the scale, movement and joint connections of leaded lines layout. 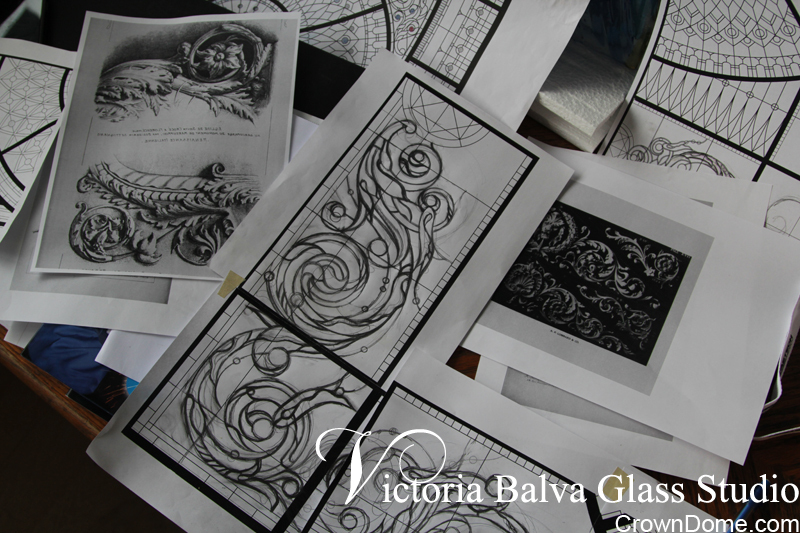 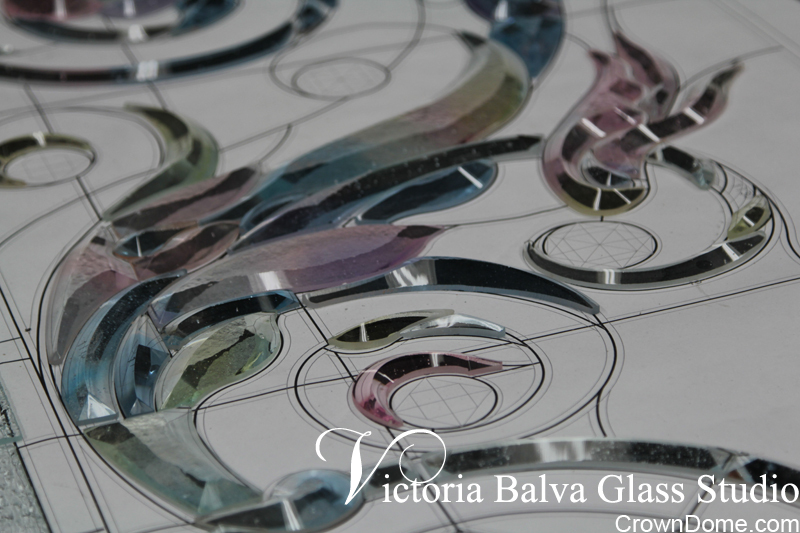 Even without texture of glass the design should look as an intricate art linework with all observed composition rules. 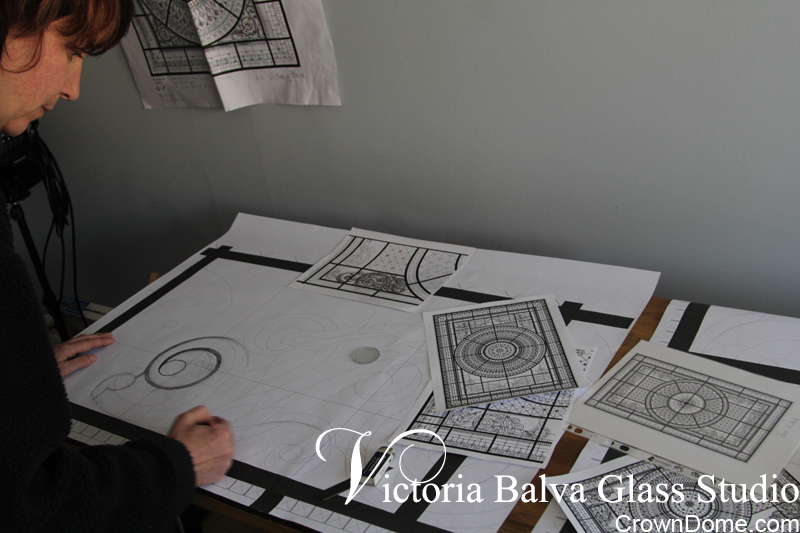 I finally had an opportunity to select a few images to present a stained glass dome skylight for our client in Connecticut, the USA. 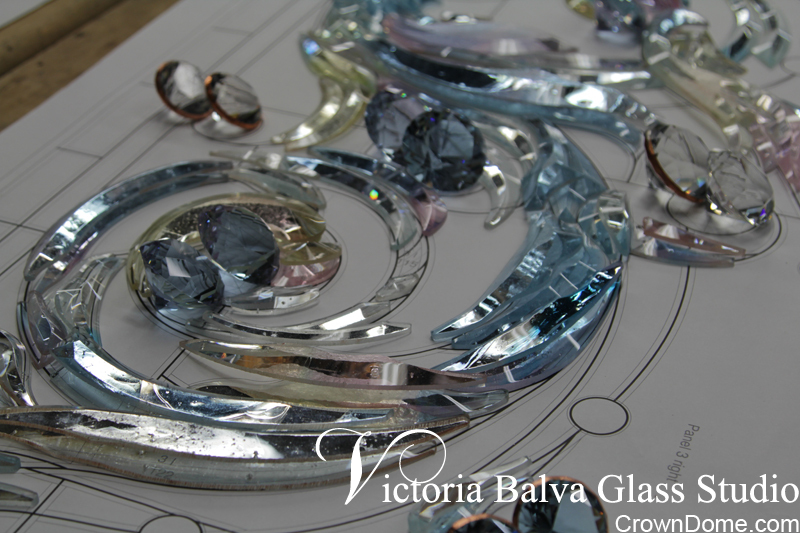 It got a romantic name New Haven, selected by our client. 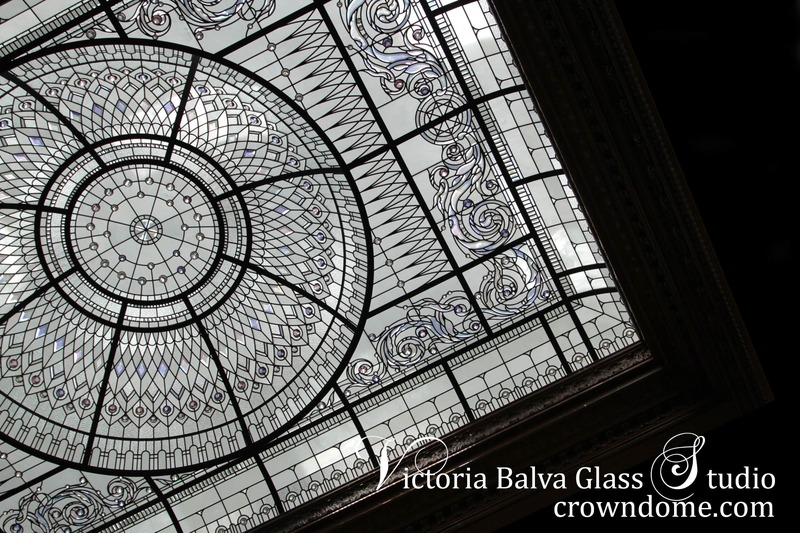 The large leaded glass domed ceiling was installed this spring and it took 2 years from design development to installation to complete this ambitious skylight that is the largest and the most complex project in our portfolio up today. 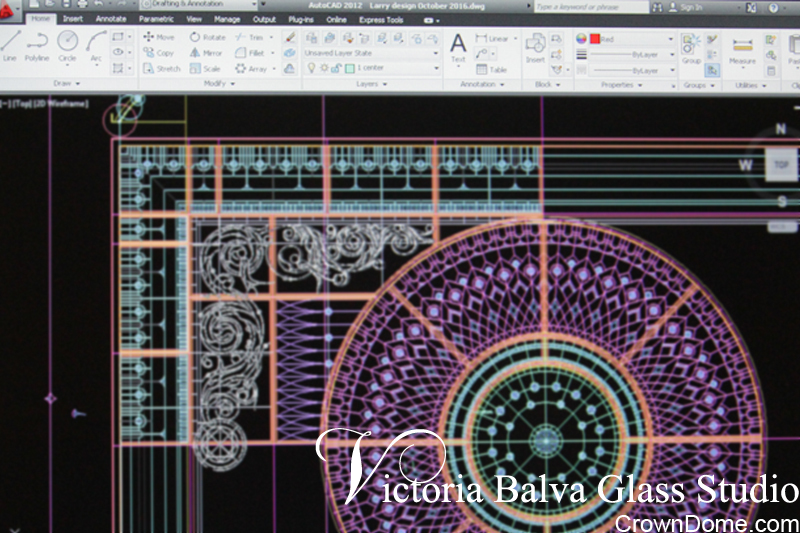 It has many features that were never attempted in glass design and fabrication before. 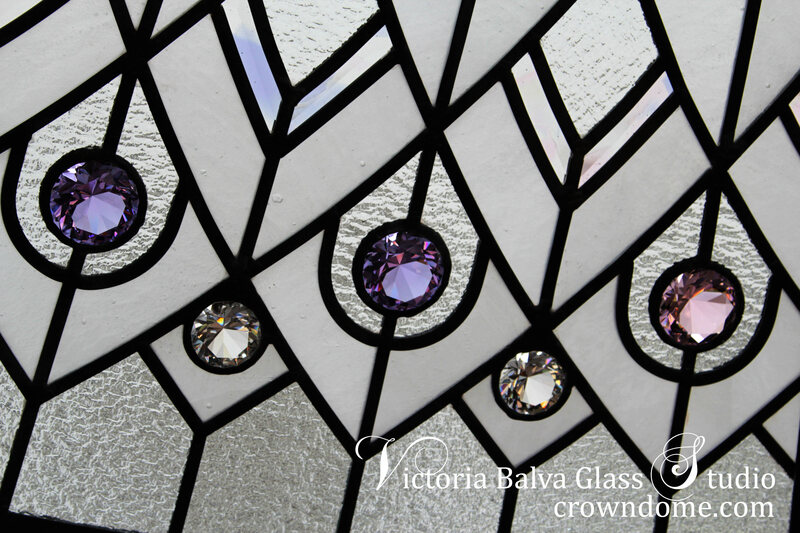 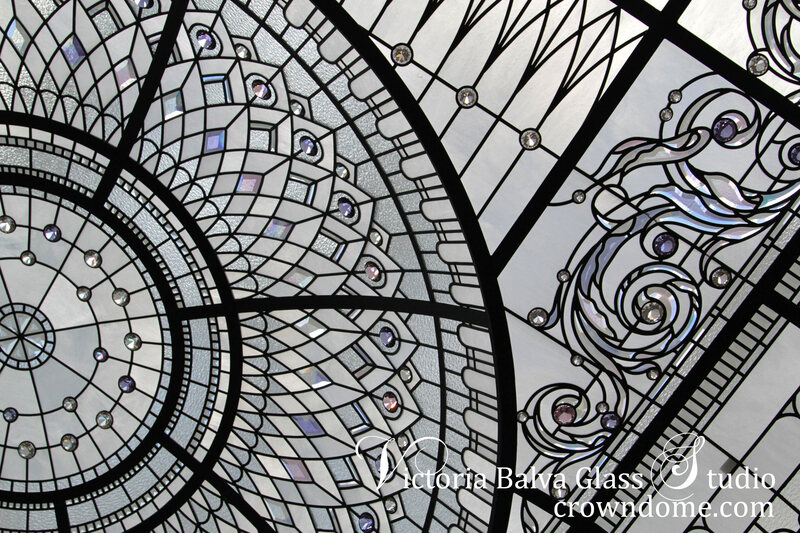 There is a massive set of thick custom beveled glass that puts a visual dynamic accent to the leaded glass skylight. 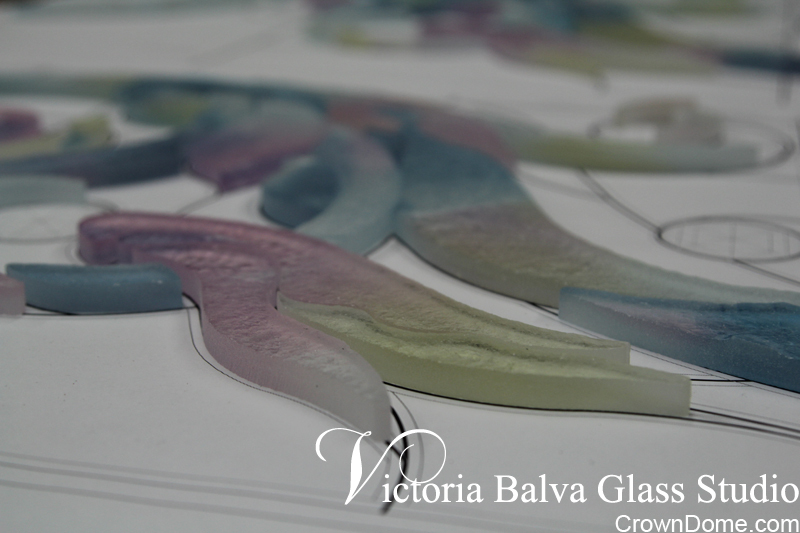 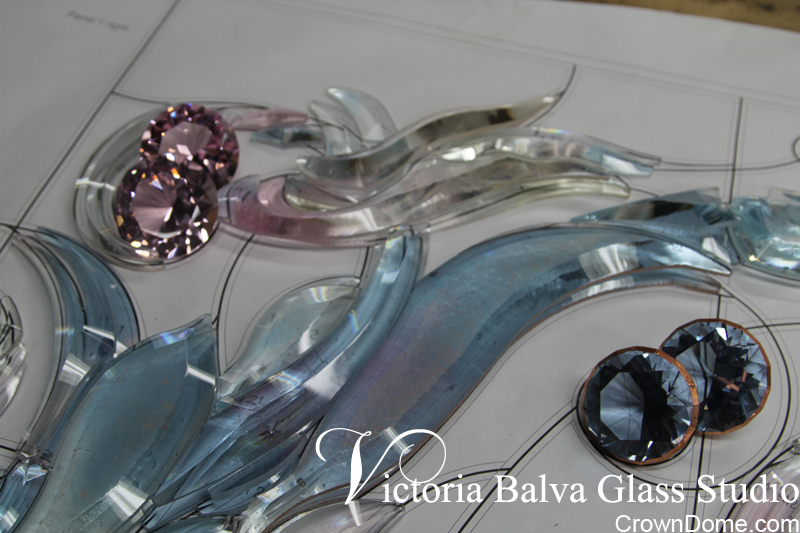 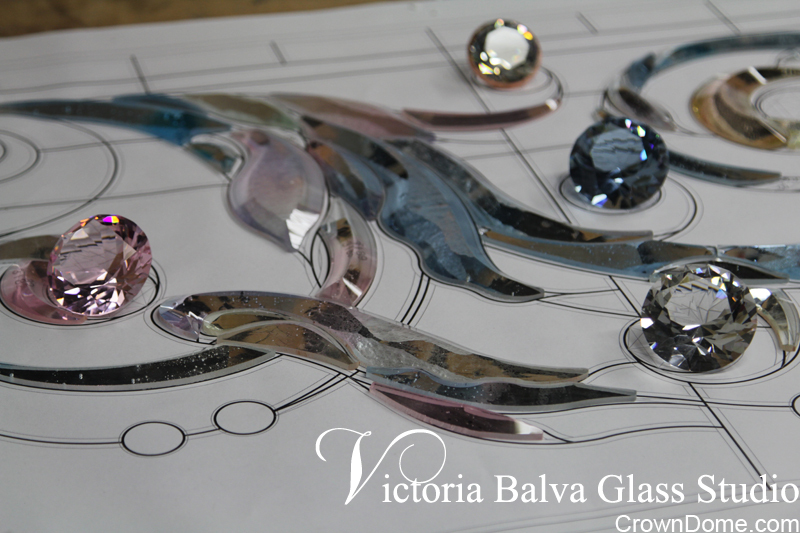 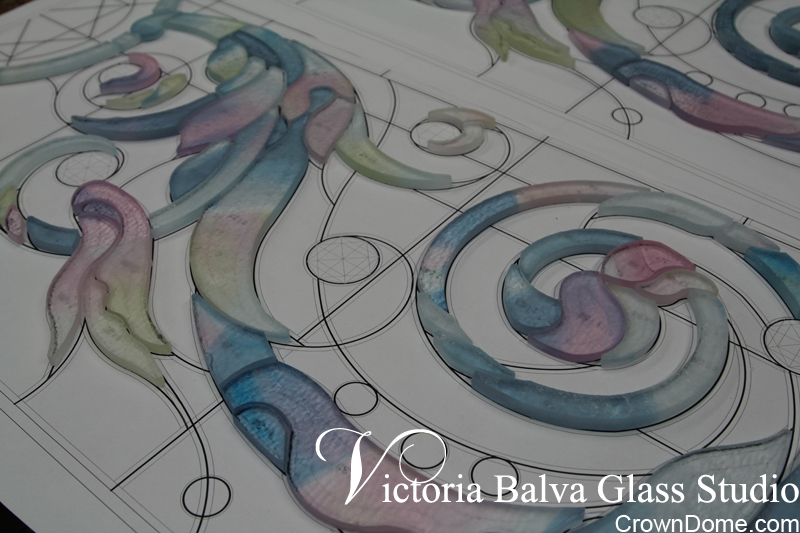 Delicate elusive colors of glass selected for the project add mystery and inner glow into glass design. 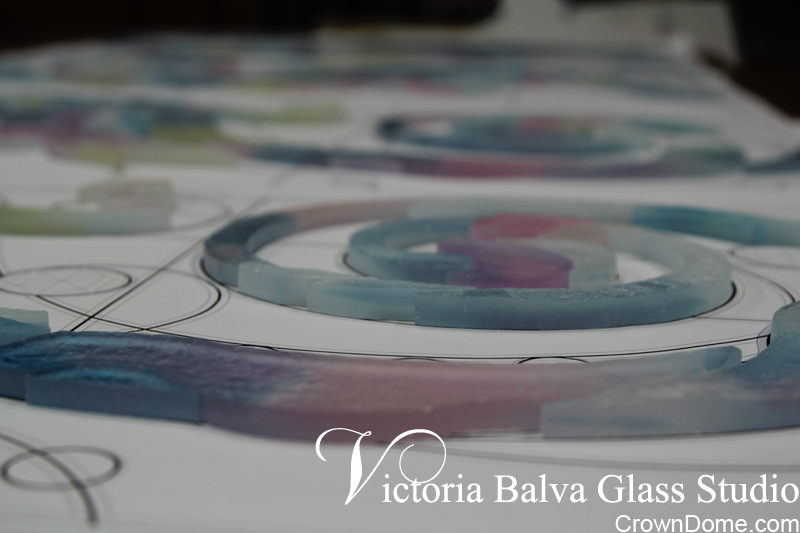 The glass for beveling was formed in our large computer controlled kiln, water jet cut and processed by experienced master beveled in Europe.